Each paddle stroke reveals a new discovery in the clear Caribbean water that slips beneath your board. From your standing vantage point, rainbow-hued corals and pastel sponges seem close enough to touch. As you round a tall headland, jungle-covered bluffs open to reveal a hidden bay that can't be reached by road. These are just some of the reasons why standup paddleboarding is fast becoming one of the most popular water sports in Saint Lucia. With miles of coastline to explore, and dozens of beaches to launch from, paddlers will run out of time long before they run out of possibilities. 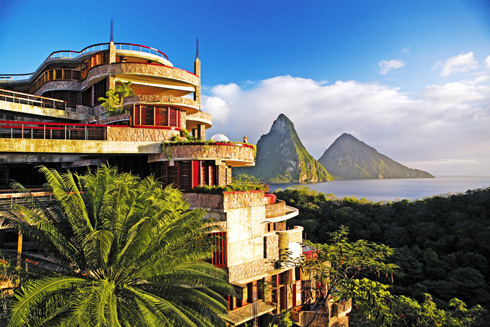 Paddleboard activities can begin at beaches all along the western coast of Saint Lucia, and a number of hotels offer rentals, lessons and group paddles. In addition, there are several tour companies that support longer trips and one-way routes with shuttle service, and sometimes a stop for a beach barbecue or swim. Since most paddleboarding takes place in sheltered bays on the calmer Caribbean side of the island, you won't have to worry about waves or the wind whenever you schedule your paddle. That said, an early start gives the best chance for glassy water and clear skies. A paddle from Rodney Bay around Mount Pimard leads to the secluded cove at Trouya Beach. Get in on a game of Yolo Polo at Reduit Beach. Launch at Marigot Bay to glide through an anchored fleet of million-dollar yachts. 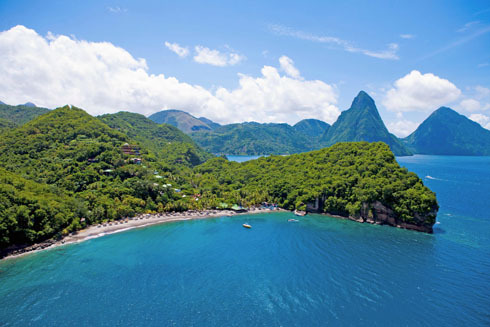 See the famous peaks of the pitons from the water, and float over the reefs of Anse Chastanet, where you can see the corals and fish right from the surface. Go for water shoes with grippy soles, a flotation device and whistle for safety, a sun hat and clothing that can get wet for comfort. Backpack-style hydration bladders are a good idea for longer trips and a waterproof fanny pack for snacks. Use an ankle leash for trips in open water.